This entry was posted in Family History, Lowell, Massachusetts, Massachusetts History, Roane / Roan / Ruane and tagged Camp Devens, Draft registration, Lowell, Massachusetts history, military history, military veterans, WWI by poorirish. Bookmark the permalink. 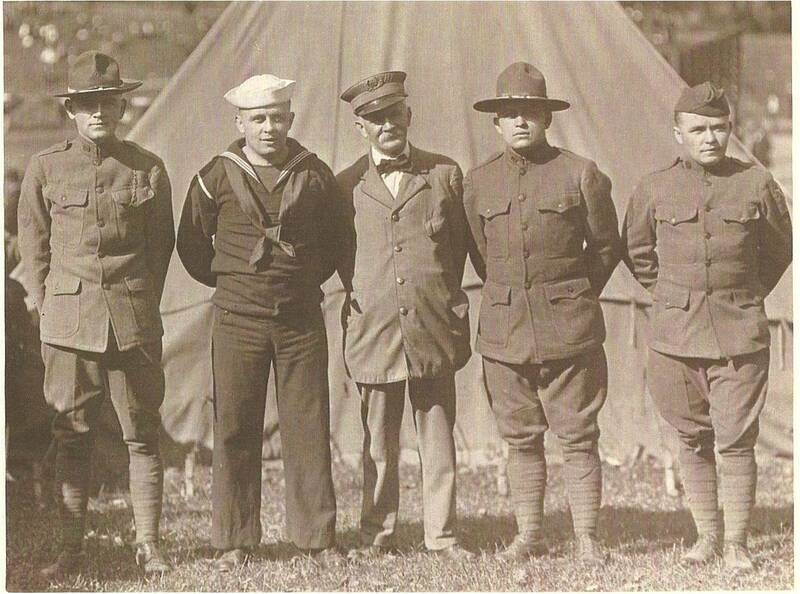 We have a slightly similar photo of my 4 uncles in various uniforms after WWII. The 5th brother died in the Pacific and the photographer “photoshopped” his picture alongside his brothers’ giving the whole thing an eery appearance.